I woke up this morning to lots of comments overnight. My first thought was 'Oh, no. The fact that I have removed the verification letters for comments has come back to bite me!' But no, there is another, much nicer reason! I am today's Blog of Note on Blogger! Wow! What a thrill! If you are stopping by for the first time, welcome! I hope you enjoy looking around in the archives of my blog! Congrats on making Blog of Note. Did you submit your site or was it simply chosen? Either way this is a nice blog you have. I would like to invite you to my blog. I have interviews from authors and info for new writers. I think you will enjoy it. Brian, it was a complete surprise to me, so it was simply chosen! I will definitely stop by your site! Well done. I've been following you for a while now and you deserve it. Congradulations on makeing blog of note. I just wanted to peek in and see what it is all about and saw that you wanted to know about literary blogs so here is mine! Sweet! How fun that you're a blog of note! Congrats, fellow book blogger on getting blog of note! Wow! How cool! Congrats. Somebody at Google likes you! I have also found you out through the blog of note section and it really is a great achievement..
Keep up the good jib man!! I am one of the new visitors to this blog, and I have to say that I'm very interested in getting some new ideas for reading materials from your lists and fellow readers! Keep up the good work! ps: have you recommended the twilight series? I came over from Blogs of note too- I love to read, but don't think I could stay up all night doing it now - I've come close though. Just dropping a little note to congratulate you on being the "Blog of Note". I can see why. You have a very interesting blog site which cannot possibly be taken all in at once. I'll have to make future visit. In the meantime, I invite you to visit my blog as well. I enjoy your blog and have bookmarked it to mine! Likely I won't be reading the same books as you; not sure if our US top sellers are of interest in Australia. But I'm a lifelong reader and at times mention a read on my blog. Congratulations on one of the best blogs I've seen! I found you through blogs of note and I am so glad that I did! I feel like I have a few new books to put on reserve at the library. Thank you! omg this is the first normal blog i've seen so far. would u mind going 2 my blog? its about politics! Thanks Rachel, it is nice to be a normal blog on there! Megan, let me know which books you chose and whether you enjoyed them or not. Pat, whilst there are probably some differences between the bestseller lists here and in the US, there will also be a lot of similarities! Thanks Linda. I will be sure to stop by. Robin and Tif - always happy to find new reader blogs. Anon - I have read the Twilight series. The reviews for the first three are on the blog. Rikki and Amanda, glad to find new book bloggers. I will be stopping by! To my existing blogger friends - it is very cool and exciting! Thanks for your well wishes! no prob. hey would you mind going to my site, politix411.blogspot.com? I absolutely love your blog--interesting, intelligent, and, dare I say it, SWEET (in a good way). Not, crude, rude, or violent. It makes me think that you are a good, thoughtful person. Felicidades! good to be here reading all things you post! 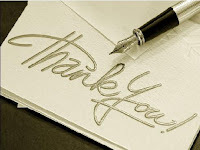 I enjoyed to much your archives - good blog, good words! Very cool blog, Marg! I've actually been in Australia studying for the past 9 months and have loved it here. I actually saw my favourite author, David Sedaris, give a reading at the Opera House. So this country will always have a very special place in my heart, from a literary standpoint at least! Feel free to check out my blog: farfromiowa.blogspot.com. I'll certainly make sure to become a regular vistor of yours! Congratulations!!! What a well-deserved honor! I enjoy your blog and now I hope that many new people will, too!